Join our family for one week! Sign up for a free pass. 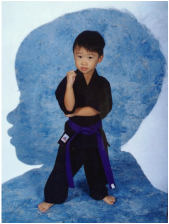 WHY SWEET PETE'S MARTIAL ARTS ACADEMY? Click here to find out why Kenpo is one of the leading martial arts in the world. ﻿We offer programs for all ages and levels of experience here. Click here to view all the SPMAA class dates and times. READY TO JOIN, QUESTIONS OR TESTIMONIALS? I'm ready to join, please contact me! I am not a student. I would like a FREE ONE WEEK PASS. I love Sweet Pete's! I would like to refer someone.